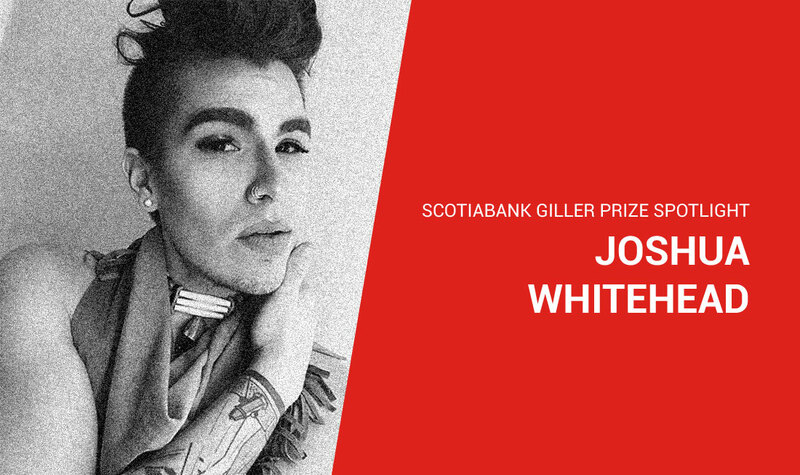 Joshua Whitehead is an Oji-Cree/nehiyaw, Two-Spirit/Indigiqueer member of Peguis First Nation (Treaty 1). He is the author of Full-Metal Indigiqueer and the winner of the Governor General’s History Award for the Indigenous Arts and Stories Challenge in 2016. Currently, he is working on a PhD in Indigenous Literatures and Cultures in the University of Calgary’s English department (Treaty 7). Jonny Appleseed is his first novel. Joshua has been selected for the 2018 Scotiabank Giller Prize longlist for his novel, Jonny Appleseed. I write, first and foremost, for Indigenous youth. I am inspired by their continued successes, work (which far too often goes unnoticed, unseen, and unpaid), activism, survival, and resistances. I write so that 2SQ (Two-Spirit, queer Indigenous) youth can see themselves in healthy, respectful, and contemporary ways of being. I am a firm believer that we need to see ourselves in order to know ourselves—so I write to craft mirrors for those youth. Do you have a favourite passage/quote from a book? I do a majority of my writing at home on my iMac into the wee hours of the morning as that’s when I’m the least busy with e-mails, reading, or prepping to teach. The world is quiet then and sets my mind and its cacophonies at ease. I usually am listening to Tanya Tagaq’s Retribution when I am and eating copious amounts of Pink Lady apples (just so I can call myself the NDN Betty Rizzo). Is there an activity you do to help inspire your writing? I need background music or white noise to write — my mind needs to be blanketed or else it squirms and reaches for subjects that too easily distract me (my mind likes to become an unsuccessful mathematician when I cannot encapsulate it). I also like to create what I call “anchors,” or, small thoughts, feelings or emotional responses mostly to phenomena or texts I encounter in the world. I write these down, either in my journal or on my iPhone, and save them for when I write. That way, when I put an anchor onto the page, it weighs me down, my body metastasizes those effects and time-travels me back to those feelings and that anchor becomes a seed that roots into the narrative. Sometimes research hurts me, sometimes it heals me—but I need to feel with the entirety of my senses in order to write. My body becomes a pen and I let my skinstories dance across the page. At this moment in my writing life, I feel as if all of my books have been kin. I call Full-Metal Indigiqueer and Jonny Appleseed sibling stories because they sing hand-in-hand – ZOA and Jonny are cousins that love each other unconditionally. When I finish a book, I find these characters sitting in the spirit, sipping tea, cracking bannock, and asking when I’ll need them again. The next manuscript I’m working on is another sibling, one that needs them both to mature into a full-fledged text. Everything is always in relation, my stories are no different. So when I finish, I sometimes mourn because it’s like leaving family in another province — you miss them, you sometimes don’t know if you’ll see them again (if at all). I look for other manifestations of work where I can summon them back into the world as a homecoming. Tommy Orange’s There, There and Raziel Reid’s Kens. I like having two on the go because you need to be in the right kind of mode to digest a book. What is your favourite CanLit read? Eden Robinson’s Son of a Trickster. I am eagerly awaiting Trickster Drift and the third book in her trilogy. I always refer to my characters as actual people, if I’m going to a reading I will note “Jonny and I will be there,” and in that vein I once told Eden at a reading that my Jonny has a crush on her Jared — I’m so happy they are both Giller kin now. Maybe one day someone will write Jonny + Jared fanfiction. I have been doing research on 2SQ literature and following the important work of Debbie Reese on Indigenous concepts and characters in Young Adult/Children’s literature. There are a handful, if that, of Two-Spirit novels written by Two-Spirit authors in this oeuvre. While Jonny Appleseed isn’t necessarily YA, it is written for 2SQ youth who are being murdered, incarcerated, dying, disappearing, entering colonial institutions, and committing suicide at an extremely high rate on Turtle Island. I write because sometimes you need to storytell as if your life depended on it. I write because I need those 2SQ youth to survive and surpass me in the wildest of ways. I write because they deserve stories that will nourish their spirits and equip them with a rock that they can use to etch and carve themselves into the world. I write to move 2SQness out of the ghastly depths of anthropology and ethnography and it’s past tense significations. I write to place us into the present, to show our vivacity for survival and resurgence, and, more importantly, to give us a present and a future. I write because if I didn’t, I’m not entirely sure I would be here today. I would love for you to will yourself over to experience, to become, as Eve Kosofsky Sedgwick coined, a reparative reader. I would love for you to enter a relationship, one of your own making, with Jonny and his stories — one that, when thought of through the lens of family, will ask you to reciprocate and maintain an ethics of care with him and with yourself. And, lastly, I would love for you to sit with Jonny as he tells you his story, to let him fill your belly with acimowin (story) and your spirits with maskihkiy (medicine).